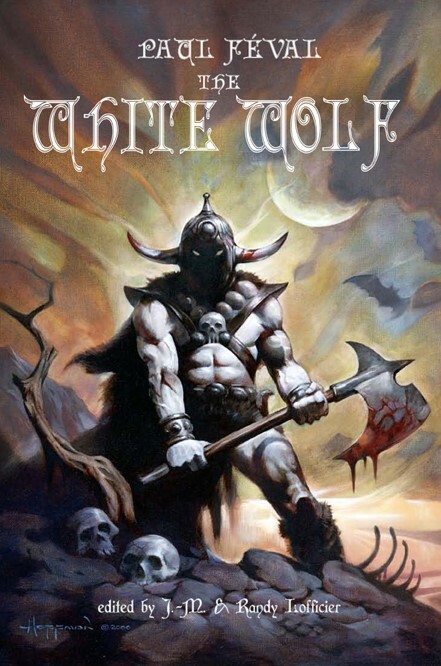 “The White Wolf is like the Devil. Only the two of them can run and disappear like this!" In 1720, Nicolas Treml de La Tremlay is a pro-independence Breton lord. One day, he decides to go and have a duel with Philippe II, Duke of Orléans:, Regent of France. If he wins, Brittany will be free, but if he loses, he will be sentenced for crime of lèse-majesté. Before he leaves Brittany, he makes an agreement with his cousin, Hervé de Vaunoy so that his grandson, Georges, will inherit his vast estate if he dies. But Georges is just a five-year-old child and Nicolas is imprisoned in the Bastille with his faithful servant, Jude Leker. Meanwhile, the villainous Hervé tries to drown the boy to steal his inheritance. But a mysterious albino known only as Jean Blanc watches and rescues the infant. In this remarkable historical novel -- amongst his first, published in 1843 -- Paul Féval throws a light on a little known period of French history, while evidencing his fascination for criminal gangs and masterful villains. In The White Wolf, he makes use of the obin Hood myth, but also anticipates the characters of Zorro and The Scarlet Pimpernel in the operson of his eponymous masked avenger.